I have arrived in Pennsylvania and am visiting with your Great Aunt Edie and Great Uncle Dan. I arrived in good shape except for some creases where I was folded in the envelope. I began my visit in Lititz, Pennsylvania the home of Wilbur Chocolate and "Wilbur Buds", I ate a lot of chocolate. In addition, Lititz is the home of Sturgis Pretzels one of the oldest pretzel bakeries in the country. I was able to hand roll my own pretzel, bake it and eat is as well. Lancaster County, PA is the home to the Old Order Amish who live on farms, use no electricity, and get around by driving horses and buggies. I have included a picture of me admiring a wall size poster of 250 years of Lancaster. Unfortunately, Uncle Dan and Aunt Edie still have to work, so I was able to go with them. 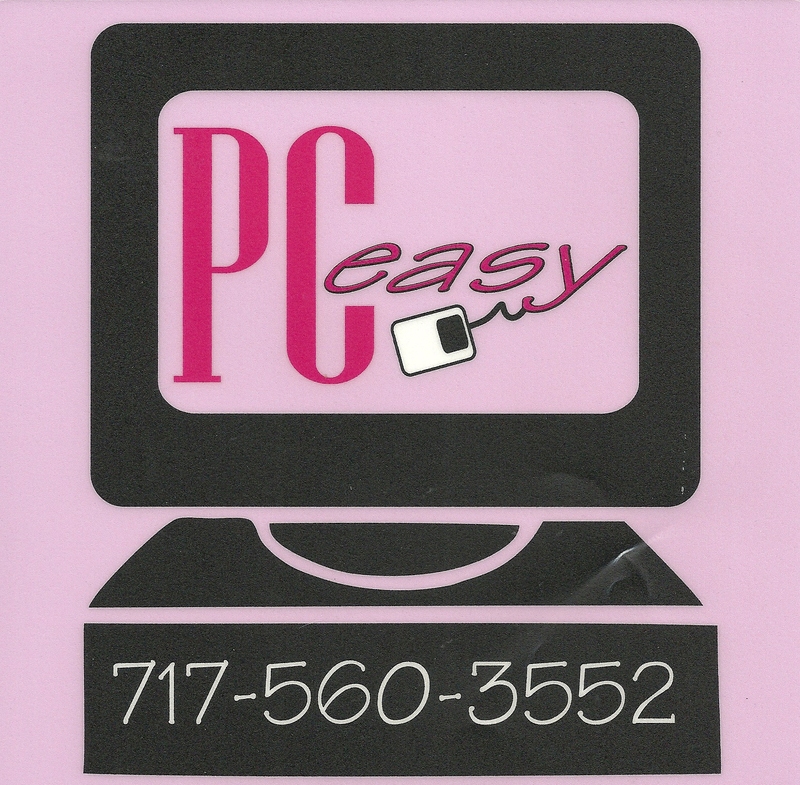 They run a small Computer Training Company in East Petersburg, PA called PC Easy. I have enclosed a picture of me checking out their wall art in their lobby. While at PC Easy, I got to see how good Computer training is done and I learned an awful lot. The next several pictures show me taking a Computer Class, and Helping another student learn one of the fine points of the Excel program. One of the really great features of a PC Easy class is that when you answer questions correctly they reward you with Tootsie Rolls! I have plenty to share. One of the best things about Computer Training Classes is that you meet the nicest people. The next picture is me and Marty working out an Excel formula. What fun it is to take an idea for how to do something and work with someone else to make it happen. Yeah!!! We got our formula to work!!! Being from California, I have missed out on a lot of things. At PC Easy it is October and the trees are changing into their fall colors and the leaves are falling from the trees. During break, we went outside and I had the chance to jump and play in the leaves, but Uncle Dan got mad and he made me clean up leaves and put them into a big paper bag. In Pennsylvania they recycle the leaves by collecting them in big paper bags, composting them, and selIing them for mulch in the spring. It was fun jumping on the leaves in the bag to compress them so more would fit in. After raking the leaves, we went inside again and we went to the snack area where I had Pepperidge Farm cookies to eat. Uncle Dan says that the Pepperidge Farm cookie manufacturing plant is in Denver, PA just a few miles away, and he promised me that he would take me shopping with him when they need cookies again. UMMM, UMMM, good!!! After all of those cookies, I needed a drink. I hung around the water cooler and watched all of the pretty girls go by. Uncle Dan spends a lot of time in the office answering the telephone and helping Customers resolve problems or to understand how the software programs work. Every now and then, he gets to leave the building to get the mail and to go to the bank. I went with him to get the mail at the East Petersburg Post Office where he has a Post Office Box. Check out the Post Office and me hanging on the sign for dear life. Whee!! What fun. Once inside the Post Office I had some other adventures. Uncle Dan Opened the PO Box and I swung on the door high above the floor. Lucky I didn't fall off. Uncle Dan had a special letter that he needed hand stamped (cancelled) by the postal clerk, Elizabeth. I wanted to see how she did it so, I was very close. Oh My, she almost stamped my leg! Lucky I jumped out of the way! I don't know if it made the news in California, but in October a few days ago, Pennsylvania was hit with the earliest ever snow storm and we got to play in four to five inches of very heavy wet snow. Uncle Dan had two big tree branches break off in the front yard, and we had to cut up the limbs and haul them away. In addition, many others had tree limbs break and fall onto power lines. At one time there were 2,500,000 houses in the Northeast United States without power. We lost power for a couple of hours, but that wasn't a major inconvenience. Talking with some of the students at PC Easy, they are still without power and it is five days later. When the electricity is out, you have no heat, no stove for cooking, mo hot water for bathing, etc. It has been getting into the low thirties over night and I am cold just getting into the car. The next picture is of me playing in the snow. I tried to build a snowman, but I was too cold and thin to move the heavy snow. Ashley, the next time you send me on a trip to the Northeast in Winter, please send along my coat! Brrrrrr!!!! The last picture I am going to send today is of me opening the combination lock on the vault at PC Easy. Uncle Dan and Aunt Edie bought the building from a bank and it came with the original Bank vault. After I opened the lock, I opened the door. It weighs 500 pounds. I was almost flattened all over again. But it is really cool having your own bank vault. I am having a great time in Pennsylvania. I will be doing some more things with Uncle Dan and Aunt Edie and I will report in soon. Over this coming weekend, we will be going to Maryland to a little village called Hacks Point where we will look out over the Bohemia River and will be working on winterizing the community pier. I will have a lot to report after that. I miss you and will be in touch soon.